WHITE TONGUE OFTEN MEANS THE SAME THING AS BLACK OR YELLOW TONGUE • BACTERIA STUCK IN DENSE TONGUE HAIR. AND IT SHARES SOME OF THE SAME CAUSES, TOO: SMOKING, DEHYDRATION, DRY MOUTH DUE TO MOUTH•BREATHING. THE WHITE LOOK MEANS THERE ARE BACTERIA, DEAD CELLS, AND DEBRIS WEDGED IN THE PAPILLAE. 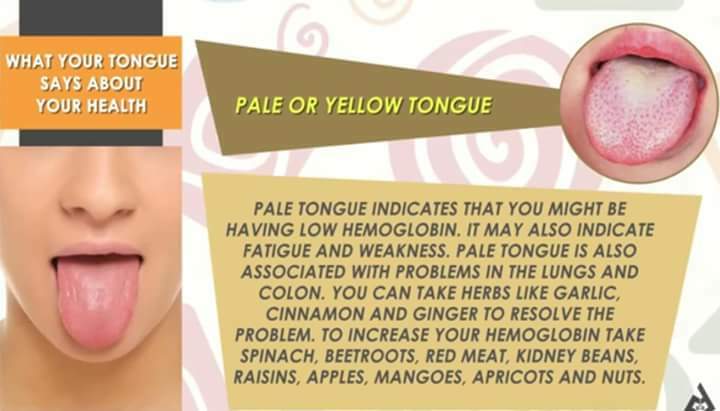 PALE TONGUE INDICATES THAT YOU MIGHT BE HAVING LOW HEMOGLOBIN. IT MAY ALSO INDICATE FATIGUE AND WEAKNESS. PALE TONGUE IS ALSO ASSOCIATED WITH PROBLEMS IN THE LUNGS AND COLON. YOU CAN TAKE HERBS LIKE GARLIC, CINNAMON AND GINGER TO RESOLVE THE PROBLEM. TO INCREASE YOUR HEMOGLOBIN TAKE SPINACH, BEETROOTS, RED MEAT, KIDNEY BEANS, RAISINS, APPLES, MANGOES, APRICOTS AND NUTS. FROM TIME TO TIME, A PERSON’S TONGUE MAY TAKE ON A BLACK, HAIRY APPEARANCE. “BLACK HAIRY TONGUE” IS A HARMLESS, TEMPORARY, BUT UNSIGHTLY OVERGROWTH OF TONGUE “HAIR” (PAPILLAE) THAT TRAPS BACTERIA AND OTHER MOUTH DEBRIS. 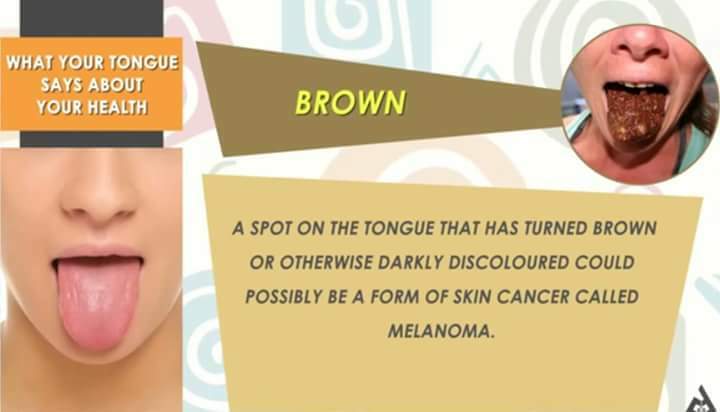 A SPOT ON THE TONGUE THAT HAS TURNED BROWN OR OTHERWISE DARKLY DISCOLOURED COULD POSSIBLY BE A FORM OF SKIN CANCER CALLED „ MELANOMA. RED SPOTS ON THE TONGUE COULD INDICATE SEVERAL PROBLEMS. 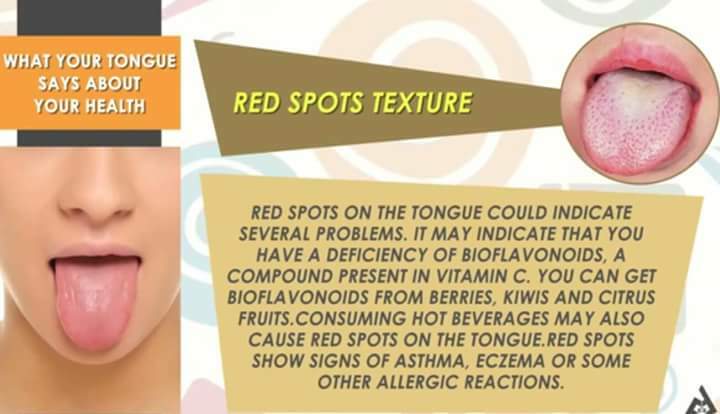 IT MAY INDICATE THAT YOU HAVE A DEFICIENCY OF BIOFLAVONOIDS, A COMPOUND PRESENT IN VITAMIN C. YOU CAN GET BIOFLAVONOIDS FROM BERRIES, KIWIS AND CITRUS FRUITS.CONSUMING HOT BEVERAGES MAY ALSO CAUSE RED SPOTS ON THE TONGUE.RED SPOTS SHOW SIGNS OF ASTHMA, ECZEMA OR SOME OTHER ALLERGIC REACTIONS. 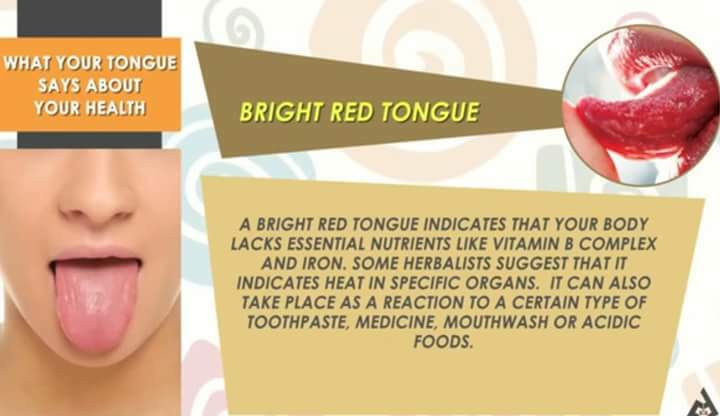 A BRIGHT RED TONGUE INDICATES THAT YOUR BODY LACKS ESSENTIAL NUTRIENTS LIKE VITAMIN B COMPLEX AND IRON. SOME HERBALISTS SUGGEST THAT IT INDICATES HEAT IN SPECIFIC ORGANS. IT CAN ALSO TAKE PLACE AS A REACTION TO A CERTAIN TYPE OF TOOTHPASTE. 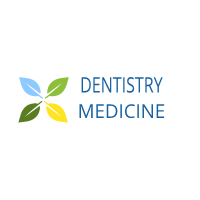 MEDICINE, MOUTHWASH OR ACIDIC FOODS.